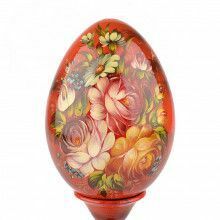 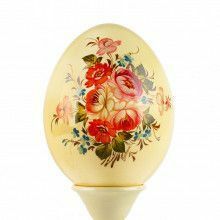 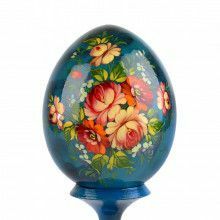 Hand painted, richly ornamented Russian wooden egg on a pedestal. 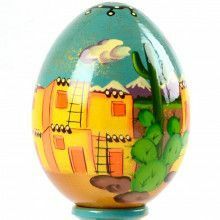 Vibrant colors and deep lacquer bring these beautifully hand painted southwest landscapes to life. 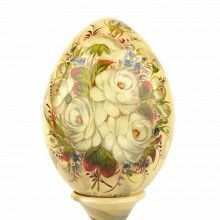 The egg is an ancient symbol of life and according to the lore of our forefathers always brings good luck.